I’ve always liked hot chocolate but it was only after my time in the Netherlands that grew extremely fond of it. There, they don’t serve that watery fake stuff. No, even in the shopping mall cafeterias, you get rich, creamy cocoa that warms you all the way through on wet winter afternoons. The chill factor of that ice cold Arctic wind that feels like needles on your face there is no joke! Coming back to the States, I couldn’t just go back to that instant flavored water stuff any more. Fortunately, I didn’t have to. 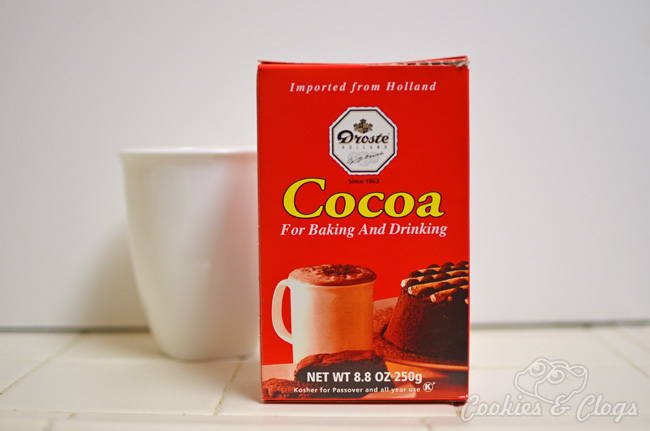 The local asian supermarket actually sells real Droste cocoa powder imported from the Netherlands. Indonesia used to be a Dutch colony so we always find it among those food stuffs. My husband has be come an expert at making our favorite cold-weather beverage and has taught our daughter to do the same. 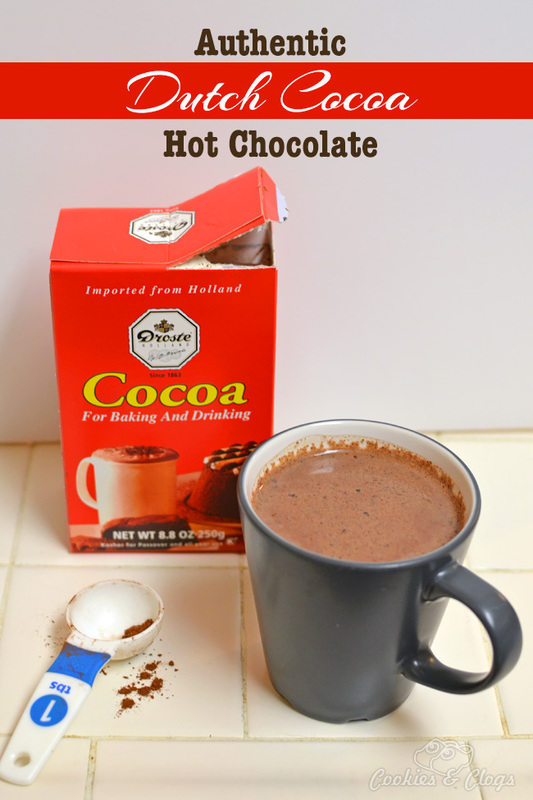 Here’s a hot chocolate recipe for you to taste this the way it was meant to be enjoyed. 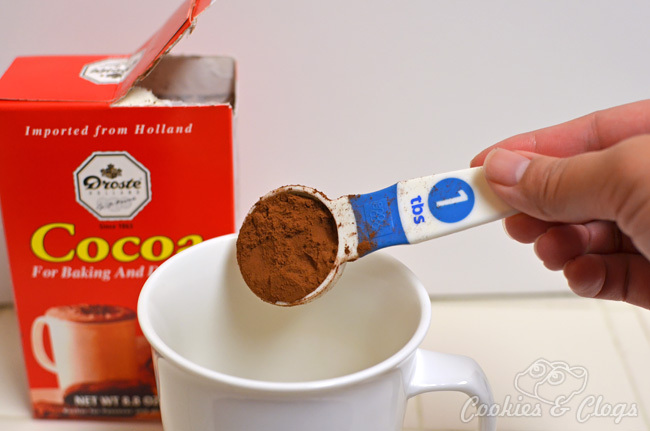 In a mug, add the cocoa and just enough milk to cover it. Stir until a smooth paste is formed. Add the rest of the milk and stir until mixed. Place in microwave at full power for one minute. Remove, add sugar, and stir. Return to microwave for an additional minute. While heating, watch the cup carefully and stop the time if the hot chocolate begins to boil over. It is possible to make this over the stove and is the more traditional way, but who has time for that?! I would only suggest doing this over the stove if you have several cups of hot chocolate to make. In which case, the stove would ensure everyone gets their drink hot and at the same time. Again, be careful to not overcook the beverage as unwanted solid pieces of burnt milk will form. 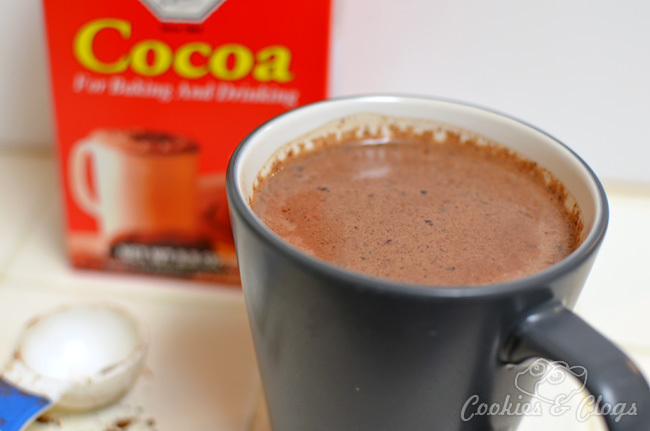 Milk has such a positive effect on our kids and this is a great hot chocolate recipe to get them to drink it. Got Milk? wants to remind families how important it is to give kids a good start. Drinking more milk helps do that by helping them to develop stronger bones among other benefits. So while we can only visit the Netherlands every so many years, we can reminisce about our time there with every cup of cocoa. Do you have any memories tied to a favorite recipe with milk? Yum since I don’t drink much coffee this is perfect for me. This looks amazingly delicious! I’ve never heard of Droste cocoa but if i happen to see in in stores, I’ll be picking this up for sure. Sounds good and looks good! Will have to try. I could use a cup of this right now, it looks so delicious! I love hot chocolate this time of year and since it’s been in the 20s-40s the last 3 days, I could really use some for sure right about now! I haven’t had hot chocolate for YEARS. I could use a cup right now, though! I love milk in general and I bet this is the way hot chocolate is supposed to taste! I’m so cold right now I wish i could have a cup! It sounds like it would be so amazingly rich! Yummy! German culture has a couple of soup dishes made with milk (I mean the base broth is actually milk not a creamed soup!) – one you use macaroni noodles in and the other is a cooked flour dumpling. We used to dump heaping spoonfuls of sugar in it when my mom made it and it was a sweet yummy warm supper on a cold winter evening! I grew up with Dutch neighbors direct from Holland and was taught how to properly drink tea as a young girl. This hot cocoa recipe looks unique and delicious! Can I make a big batch in a crockpot?